Em. Prof. dr. ir. Arthur O. Eger (1950) holds a PhD in Industrial Design Engineering at the Delft University of Technology. In May 2003 he became Full Professor of Product Design at the Department of Engineering Technology of the University of Twente. He has a broad experience in industrial design engineering, wrote and edited over fifteen books, and published over 100 articles and papers on topics such as product design, graphic design, architecture and decorative art. Since 2004 he is Member, from 2009 until 2018 he was Chairman and since then he is Counselor of the Board of the Department of Industrial Design Engineering of KIVI, the Royal Institution of Engineers in the Netherlands. Since 2018 Director of BlauwZand Publishing. Since 2015 Consultant, writer and lecturer on subjects such as Architecture, Decorative Art, Graphic- and Industrial Design. 2003 – 2015 Full professor at the University of Twente, Chair: Product Design. 1998 – 2003 Director of Space Expo (Space Museum and the Official Visitors Center of ESA, the European Space Agency). 1996 – 1998 Director of Science Center: ‘Da Vinci Techno Activity Center’. 1979 – 1996 Co-founder and director of Van Dijk/Eger/Associates (nowadays known as Well Design). 1977 – 1979 Head of the Publications Department of the Computer Center of the Universities of Amsterdam. 1976 – 1977 Researcher at the Faculty of Industrial Design Engineering, Delft University of Technology. Since 2018 Counselor of the Board of the Department of Industrial Design Engineering of KIVI, the Royal Institution of Engineers in the Netherlands. 2014 Chair of the Organising Committee of the 16th International Conference on Engineering & Product Design Education hosted by the University of Twente (4 & 5 September 2014). 2009 – 2018 Chairman of the Board of the Department of Industrial Design Engineering of KIVI, the Royal Institution of Engineers in the Netherlands. In 2014 appointed to Member of Merit. Since 2008 International correspondent of Zhuang Shi, magazine on Art and Design in China, published by Tsinghua University, Beijing, China. Since 1995 Chairman of the Board of the Mobach Ceramics Foundation. 2000 – 2013 Chief Editor of Product Magazine, Journal of Industrial Design Engineering, a publication of MYBusinessmedia, Rotterdam. 1993 – 2013 Writer of a column for Product Magazine. 2004 – 2008 Member of the Board of the Department of Industrial Design Engineering of KIVI, the Royal Institution of Engineers in the Netherlands. Since 2009 chairman. 1999 – 2001 Visiting Professor at the Management Studies Center in Vlaardingen (the Netherlands). 1998 – 2003 Vice President of APOGEES (Association pour Promouvoir, Organiser, Gérer des Expositions et des Evénements relatifs à l’actualité Spatiale), Paris (France). 1997 – 2003 Co-founder and member of the Dutch Association of Science Centers. 1997 – 2000 Member of the Editorial Board of Product Magazine. 1986 – 1988 Head Professor of the Course on Innovation Management, Kluwer, Maarssen (the Netherlands). 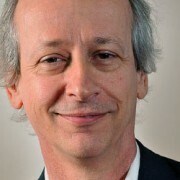 1980 – 1982 Adviser and co-editor of Compres Magazine (Graphic Design Management). 2007 ‘Doctor in de Technische Wetenschappen’ (Ph.D.), Delft University of Technology. 1975 ‘Ingenieurs examen’ (MSc in Industrial Design Engineering), Delft University of Technology. 1969 – 1975 Industrial Design Engineering at Delft University of Technology.